Sophie Klisman after her immigration to the USA. For decades Lori Ellis had only a vague idea of what her mother Sophie had experienced in three Nazi concentration camps. 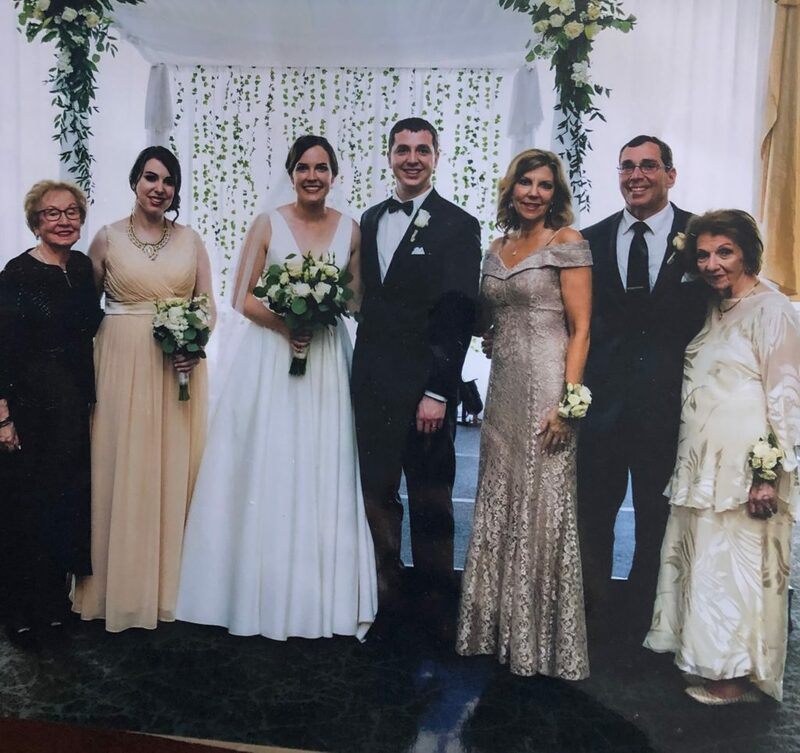 When Sophie’s grandchildren became old enough to learn about the Holocaust, Sophie started to share more and more about her past. 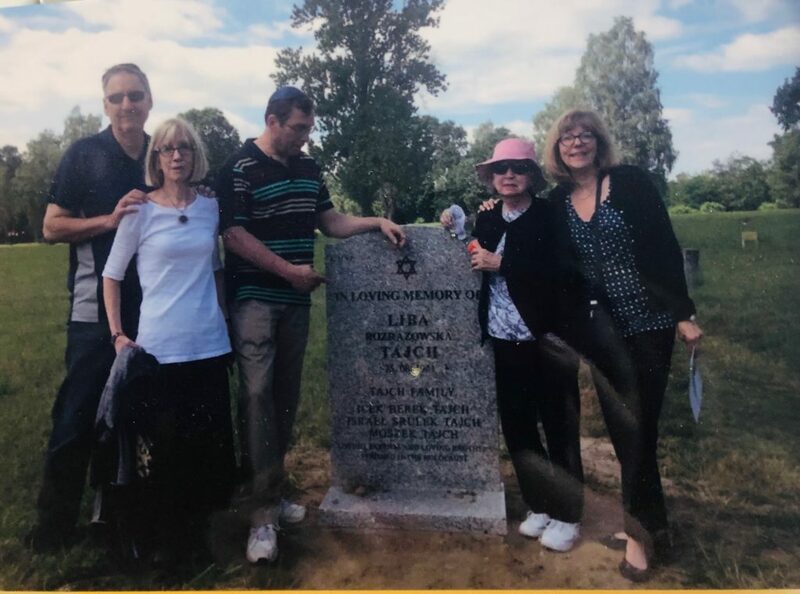 Here Lori Ellis chronicles how the family went from not talking about their history to taking a trip to Sophie’s birth country Poland to set a tomb stone for the family members who had died in the Holocaust. 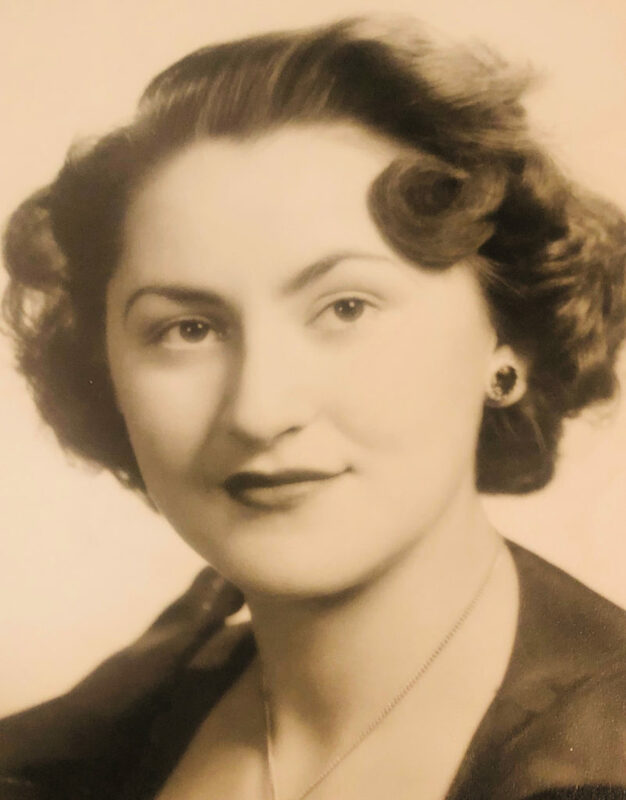 My mother Sophie Klisman was born as Zysla Tajch on July 6, 1929 in Piotrków Trybunalski, Lodzkie, Poland. Her parents were Berek and Liba Tajch, nee Rozrazowska. Zysla had two brothers, Moszek and Israel Sruelek, and one sister named Faiga. Her other sister Esteria had died at the age of 9. My mother had not been born yet. The family moved to Lodz, Poland, when Zysla was three. There she went to a Jewish school until the Germans invaded Poland and shut down the schools for the Jews. Zysla and her family were put in the Lodz Ghetto. Her mother, her father and her brother Moszek died a slow and painful death before Zysla’s eyes from starvation and disease. Somehow my mother, her sister Faiga and her brother Israel Sruelek kept going to work while being starved and exhausted. After they had been in the ghetto for four long years it was liquidated. Zysla and her two siblings were transported by cattle cars to the Auschwitz concentration camp. There the “selection” process took place upon arrival. Looking back Sophie thinks that it was SS physician Josef Mengele who used his finger that day to direct people to the right or left side. If one was too old, pregnant, too young or sick, that person was sent to the gas chambers. Faiga was in front of my mother. She was waved to go to the right. When it was Zysla’s turn the physician shouted in German “STOP.” She was petrified that she had done something wrong. He asked her how old she was. At the time she was only 15, but she lied and said she was 18. Then he asked her what year she was born. She told him 1926 instead of 1929 and he waved her through in the same direction as her sister. They hugged and cried. They did not know if that line was to live or die, but they were thrilled they were together. Zysla felt it was a miracle that she survived the selection. Their brother was sent in another direction. He looked back at his sisters. They all cried. They never saw each other again. 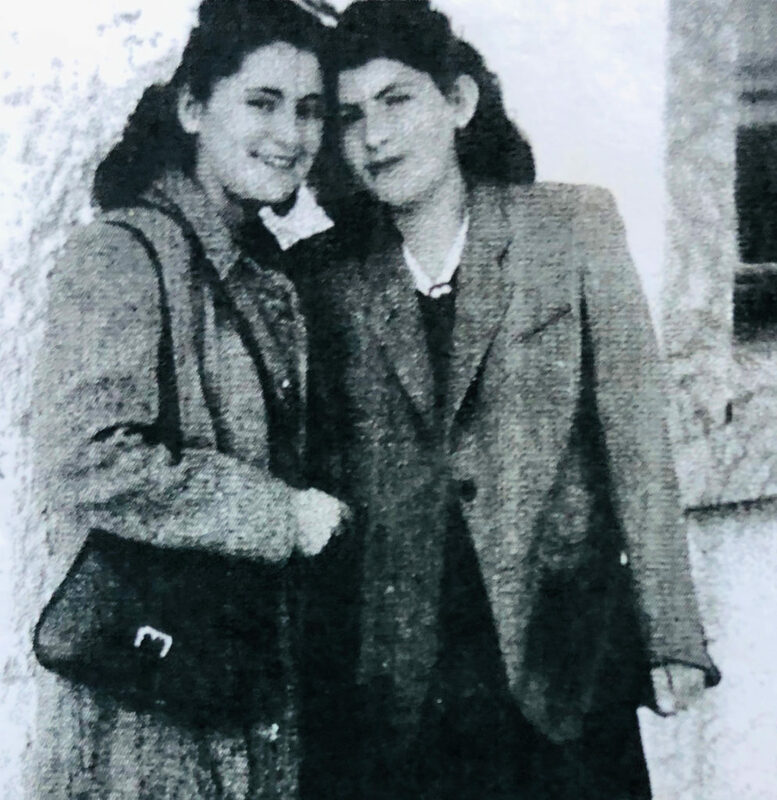 The sisters were in Auschwitz for approximately 15 days before being transported again (four days and nights) to the Bergen-Belsen concentration camp. You cannot leave me. You are the only family I have. One of the prisoners used to be a nurse. She told my mother to gargle with her own urine. According to my mother, following this advice saved her life. Her survival in Bergen-Belsen felt like another miracle. The sisters slept in tents that were cold and wet. They were unaware that their brother Israel had also been sent to Bergen-Belsen. The men and women were separated. Records indicate he presumably perished at Bergen-Belsen shortly before liberation. My mother and I were actually shocked when we received this information after we had sent inquiries about Israel Tajch to both the Auschwitz Museum and the Bergen-Belsen Museum. My mother stated that even if she had run into Israel in Bergen-Belsen, they may not have recognized each other because their heads were shaven and they had lost a lot of weight. From Bergen-Belsen Zysla and Faiga were taken to Salzwedel camp, a sattellite camp of the Neuengamme concentration camp. The train ride lasted 13 hours. In the Salzwedel camp the sisters worked an evening shift in a ammunition factory. A piece of bread and watered down soup was provided for the day. My mother became extremely ill. She could not stand during roll call. Faiga tried to lift her up. One female guard apparently had a heart and told my mother to go back to her barrack. She immediately fell asleep. Within a few minutes a different and terrible guard started swearing at Zysla and beating her to near death the whole walk to the ammnition factory. When my mother arrived Faiga thought she was almost dead. Faiga cleaned Zysla up. She figured that Zysla was not on the list to work that day, so she hid her in a back room and put her in a box to sleep. At the end of the shift Faiga and Zysla walked back to the barracks. A miracle had happened again. April 14, 1945 was the day Zysla and Faiga were liberated from Salzwedel by the 9th U.S. Army, 84th Infantry Liberating Unit. 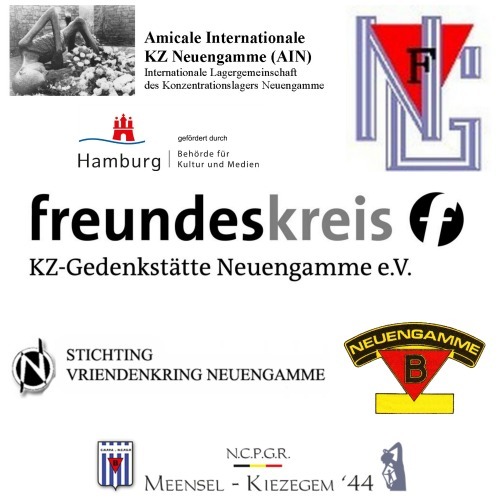 They remained in Displaced Persons camps in Germany for four more years. Returning to their home in Lodz was not an option. Anti-semitism was widespread. Through the Red Cross they learned that their whole family had perished in the war. In the DP camp Faiga got married to Roman Shloss and had her daughter Loretta. In 1949 they finally left Europe for the United States. After two weeks on the water they arrived in New York. Later they moved to Detroit, Michigan. Faiga and Roman had another daughter they named Marla. Once in America Zysla became Sophie. She went to night school and worked during the day. At school she met her future husband Bernard Klisman, also a Holocaust survivor. He suffered from survivor guilt. His parents, his twin younger brothers, two older brothers and sister died in the war. Two older brothers survived in the former Soviet Union. One was even put into prison there. After the war he met up with the two brothers that had been in Russia. They all tried to immigrate to Bolivia, but they were not allowed to go. My father had immigration papers to come to the USA. His brothers Jakob and Leon were only allowed to go to Australia. So once again they were separated. Sophie and Bernard quickly fell in love and got married. Their children Mark and Lori were born in 1956 and 1959. They were wonderful parents and very dedicated to each other. 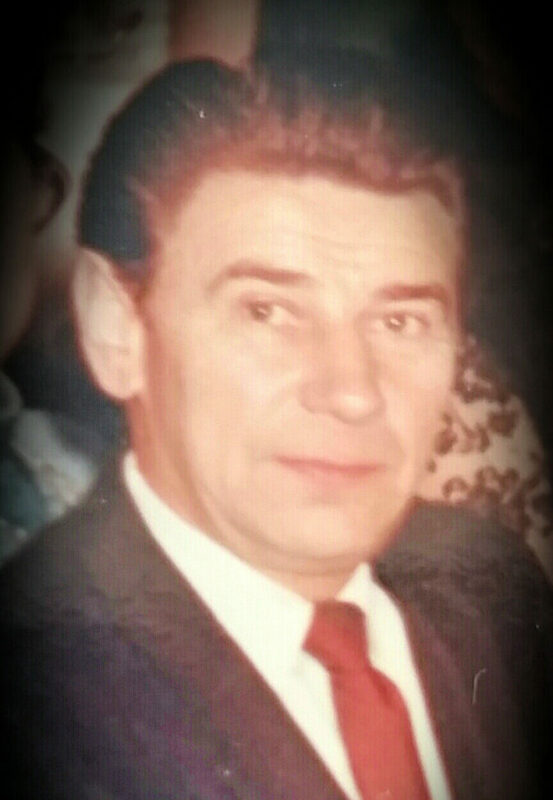 Before my father died six years ago in 2013 he had been diagnosed with Alzheimer’s. My mother was a devoted care taker and never left his side. My brother Mark and I eventually built families of our own. We are very fortunate that our loving mother is still in good health and dotes on her grandchildren. Our parents never talked to us about the Holocaust. They did not want us to feel sorry for them. They hid the pain from us. Their survivor friends soon became our family. My mother also remained close with her sister Faiga who had become Felicia in the USA. They even moved to the same city in Michigan. There was a lot of love between the two of them. The families would come together for all holidays. However, they were quite different woman. My Aunt Felicia talked about the war all the time while my mother never did. Felicia had lived in the past and my mother tried to move forward and never talk about the past. When our children were in school they had to do a project about the Holocaust. It was the first time my mother shared a little bit of information. 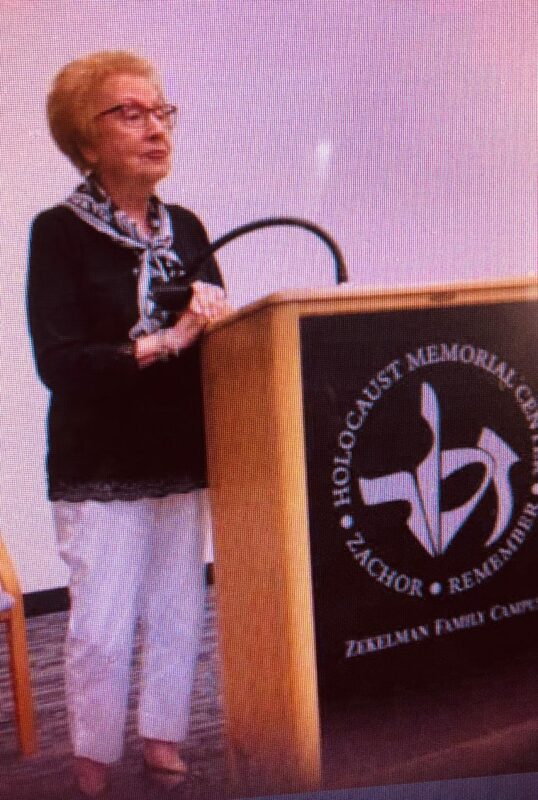 Sophie Klisman giving a presentation at the Holocaust Memorial Center in Michigan. Only three years ago my mother was interviewed for the Holocaust Memorial Center in Farmington Hills, Michigan. After that Monnie Must photographed her and wrote a book called Living Portraits. My mother and father were featured in the book with many other survivors. 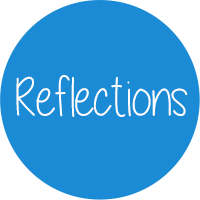 After my mother had started sharing her story publicly, I noticed a colleague’s Facebook post about “The Memory Project”. I was curious if I could find any information on my mother’s or father’s family. after I had put in the names, I felt like I had hit the jack pot. I was able to find out the dates my mother’s family members had perished. My mother put up four beautiful plaques at Adat Shalom Synagogue in Farmington Hills, Mi. Finally my mother has a place she can go to say Kaddish, and the family will never be forgotten! 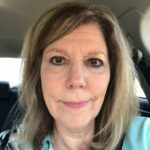 Finally,I found a website called Jewishgen.org. This site had a wealth of information about people from Poland and other locations. I found the exact spot where my grandmother Liba Tajch and my uncle Moszek Tajch were buried. I contacted the staff at the New Lodz Cemetery and asked if there were any markers or tombstones on those spots. Staff emailed me the exact spots they were buried. However, there were no markers or tombstones, but empty land where they were buried. What if I told you I know the exact spot where your mom and brother were buried? You have to be certain! She decided to have a tomb stone erected in memory of the Tajch family. We had the stone made in Poland. It was put in the Ghetto Field of the cemetery. Our next goal was to book a trip to Poland. Sophie visiting the tomb stone for her family with her children and children-in-law (l.t.r. : Mark Klisman and Mark’s wife Anne, Jeff Ellis, Sophie’s son-in-law, Sophie Klisman and her daughter Lori Ellis. Sophie, my brother Mark and his wife Anne, my husband Jeff and I decided we were going with my mother to Poland. 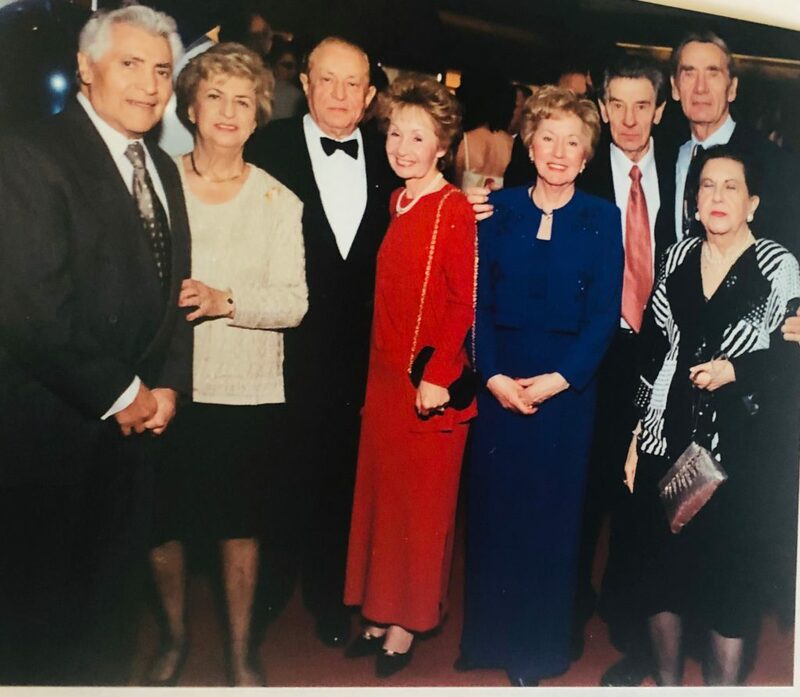 On July 7, 2016, at the age of 86, my mother, and all of us, got to say Kaddish in memory of her beautiful family that had perished in the Holocaust. It was the most emotional and moving experience. After that we went to Radegast railway station to see the spot where she was transported to Auschwitz. We also went to Piotrkow and found her synagogue. It is now a library. When we arrived there something magical happened. We met a Rabbi and a group of young Jewish professionals from New York on the J.Roots Mission. They asked my mother to speak to their group about her life story. We were amazed at her courage to do this. She is a brave survivor. The next day the group went to the Tajch tomb stone and said prayers and placed stones on the tomb stone. It meant the world to my mother. I am currently writing a book on my family’s life called 4,456 Miles to Closure. 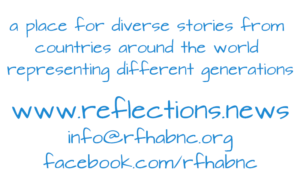 Stories about my family who survived the harrowing atrocities of the Holocaust. We chronicled our journey in Poland in a blog called Ellis Poland.